Buying your first home is a high-pressure endeavor. The number of homes for sale in America has been steadily declining for years. According to Zillow, inventory has been on a year-over-year downward spiral every single month since February 2015. That means competition for homes is fierce, particularly for starter homes. There’s also a great deal to learn as a first-time home buyer, ranging from understanding mortgages to knowing what to look for when touring properties and which markets are the best. Cheapism has asked real estate experts to share their top tips for those making their first foray into the market. Here’s what the professionals want all first-time homebuyers to know when they start hunting for their dream home. Mortgages are complicated financial products, so spend some time educating yourself about them, said David Reiss, a law professor at Brooklyn Law School. “If you understand them, you can choose the right one for your circumstances,” said Reiss. “Most people think they should get a 30-year-fixed rate mortgage. But those usually have a higher interest rate than adjustable rate mortgages.” For those buying a starter home, an adjustable rate mortgage (ARM) may be worth considering in order to keep the monthly mortgage payment lower initially. Buying a house after bankruptcy may sound like an impossible feat. Blame it on all those Monopoly games, but bankruptcy has a very bad rap, painting the filer as someone who should never be loaned money. The reality is that of the 800,000 Americans who file for bankruptcy every year, most are well-intentioned, responsible people to whom life threw a curveball that made them struggle to pay off past debts. Sometimes filing for bankruptcy is the only way out of a crushing financial situation, and taking this step can really help these cash-strapped individuals get back on their feet. And yes, many go on to eventually buy a home. Only how? Being aware of what a lender expects post-bankruptcy will help you navigate the mortgage application process efficiently and effectively. Here are the steps on buying a house after bankruptcy, and the top things you need to know. There are two ways to file for bankruptcy: Chapter 7 and Chapter 13. With Chapter 7, filers are typically released from their obligation to pay back unsecured debt—think credit cards, medical bills, or loans extended without collateral. Chapter 13 filers have to pay back their debt, only it’s reorganized to come up with a new repayment schedule that makes monthly payments more affordable. Since Chapter 13 filers are still paying back their debts, mortgage lenders generally look more favorably on these consumers than those who file for Chapter 7, says David Carey, vice president and residential lending manager at New York’s Tompkins Mahopac Bank. How long after bankruptcy should you wait before buying a house? Most people applying for a loan will need to wait two years after bankruptcy before lenders will consider their application. That said, it could be up to a four-year ban, depending on the individual and type of loan. This is because lenders have different “seasoning” requirements, which is a specified amount of time that needs to pass. Fannie Mae, for example, has a minimum two-year ban on borrowers who have filed for bankruptcy, says David Reiss, professor of law and academic programs director at the Center for Urban Business Entrepreneurship at Brooklyn Law School. The FHA, on the other hand, has a minimum one-year ban in place after a bankruptcy. The time is measured starting from the date of discharge or dismissal of the bankruptcy action. Generally the more time that passes, the less risky a once-bankrupt borrower looks in the eyes of a lender. 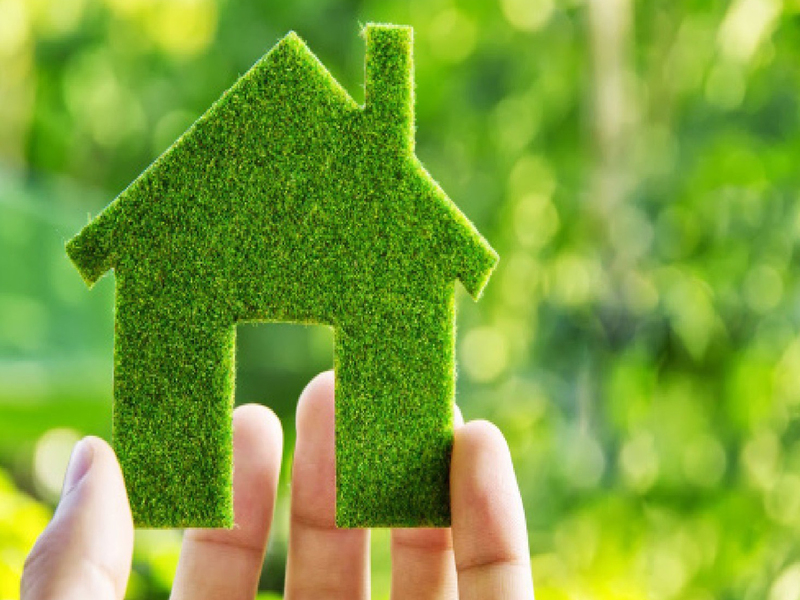 The real estate industry is a sector that’s extremely profitable if done right. If you think about it, a house is the most expensive item that a person buys over his/her lifetime. Big money, big opportunities. However, on the same token criminals prey on the weak and use creative ways to make a lot of money by scamming victims all over the world, whether buyers, sellers or realtors. Amongst the most notorious fraudulent practices on the market, we have already exposed and shared information about real estate investment scams, home buying scams, residential real estate tips and the Real Estate Agent Scam. This week we caught up with a few fraud prevention experts and real estate professionals. We invited them to share new tips and expose some prevalent scams they’re aware of, which are happening now. “A hacker could fool you into thinking he’s your agent and trick you into sending him money, which you’ll never get back. It’s so bad the FTC even sent an alert warning consumers that real estate agents email accounts are getting hacked.”, says Robert Siciliano, fraud prevention expert with IDTheftSecurity.com. “It’s obvious that one way to prevent this is to arrange a home purchase deal where there are zero closing costs”, says Siciliano. “The scam is prevalent, perhaps having occurred thousands of times. It was just a matter of time until scammers recognized the opportunity to target real estate agents and their clients. In addition, Robert points out: “Realtors, who are so often on the go and in a hurry, frequently use public Wi-Fi like at coffee houses. Anyone involved in a real estate transaction can be hacked, such as lawyers”. – Eliminate e-mail as a correspondence conduit—at least as far as information on closings and other sensitive information. – On the other hand, you may value having “everything in writing,” and e-mail provides a permanent record. In that case, use encrypted email or some setup that requires additional login credentials to gain access to the communication. – For money-wiring instructions, request a phone call. And make this request over the phone so that the hacker doesn’t try to pose as your Realtor over the phone. – Any e-mailed money instructions should be confirmed by phone—with the Realtor and the bank to send the money to. – Get verification of the transfer ASAP. If you suspect a scam, have the receiving bank freeze any withdrawal attempt of the newly deposited funds—if you’ve reached the bank in time, that is. “I know a victim of a realtor who is scamming his buyers by taking advantage of sudden traumatic life events”, says Mariko Baerg from Bridgewell Group. A buyer had purchased a house. Between the time it was a firm deal and the title transfer date he got in a severe car accident and could no longer work for the short term. The realtor that was representing him had coerced the buyer into assigning the sale to the realtor himself for a discounted price because he fearfully convinced the buyer that he would have difficulties keeping his financing from the lender. Assigning to yourself is a clear conflict of interest, the realtor did not try to market the assignment to anyone else, and the sale amount was $100,000 less than market value! He also forged the seller’s signature to convince the buyer that it was OK to assign the property. The issue could be avoided by making sure you have a power of attorney lined up in the case that you have an accident, making your realtor show you comparables to confirm what market value is before transferring. Also, if you have a feeling there may be a conflict of interest always obtain legal counsel or receive a second opinion to determine what your options are.”, explains Berg. This next fraudulent practice is exposed by Jeff Miller, co-founder of AE Home Group: “Arc fault breaker swap outs are a common scam I’ve seen in the flipping industry. Modern building code requires that electrical boxes contain arc fault breakers as opposed to traditional breakers in order to further prevent electrical fires. While safer, these arc fault breakers can add upwards of $800 to the cost of the renovation. Following the issuance of a use and occupancy permit, some flippers will return to the home and replace these expensive arc fault breakers with the cheaper traditional breakers, adding profit to their bottom line.”, says Miller. Another fraudulent real estate practice is the “bait and switch” scheme, explained here by Lucas Machado, President of House Heroes: “The scam occurs when a prospective buyer offers an “above market value” price to a home seller. The seller – blown away by the high offer – excitedly signs on the dotted line. Sadly, the unscrupulous buyer has no intention to purchase the property at this price. Once the seller signs the contract, the seller may only sell to that buyer for a specified time (weeks to even months) for the buyer’s purported due diligence. When that time ends, the fraudster asks to extend the contract a few weeks to work out closing details. Sounding reasonable, the seller agrees to the extension blinded by the high offer.”, warns Machado. “There are two impacts on the seller. The seller keeps paying taxes, maintenance, utilities, insurance and develops an emotional commitment to sell. How can you avoid the bait and switch scheme? a. Confirm proof of funds at time of executing the contract. b. Do not grant unreasonable extensions or reductions. c. Set expectations early on. d. If extension or reduction is based on condition, request an inspector or general contractor report verifying claims. Leah Slaughter with OmniKey Realty warns about a scam constantly happening in the real estate business: the Duplicated Listings. “We often see companies copy our legitimate rental listings and post on Craigslist for a much cheaper price. Unfortunately, many people fall for these fake listings and wire or overnight money to the owners of these fake listings and then cannot get access and eventually locate us and all we can do is refer them to the police.”, says Slaughter. David Reiss from Brooklyn Law School warns about a new type of scam: impersonating real estate lawyers. “In this case, the scammer takes control of the proceeds of a real estate closing by impersonating one of the parties to the closing and redirecting proceeds to an account controlled by him/her. The criminal might impersonate the seller’s lawyer and instruct that the proceeds from the sale be redirected to a new account.”, says Reiss. Maybe you’ve missed a couple of monthly mortgage payments. Maybe a notice of default from your lender is looming right now. You understand the severity of the situation, but what most homeowners don’t know is that foreclosure is not the only option you have when you’re no longer able to afford your house. The first step for anyone in risk of foreclosure is to get in contact with your lender. This shows that you are aware of the problem and committed to finding a solution—and trust us, that will go a long way. The earlier you reach out, the greater shot you have of amicably rectifying the problem. After you speak with your lender, your lender will lay out your options, including the foreclosure alternatives that you might be able to take advantage of. Let’s take a closer look at some of the alternatives so you—and your credit history—don’t suffer the ultimate blow. If your home is currently valued at more than you owe and if you are up to date on your mortgage payments (but you anticipate that paying your mortgage could become a problem), you can hold out as long as possible for a buyer. You can also try to rent out the home to cover the mortgage payments until the house sells, says Carolyn Rae Cole, a Realtor® with Nourmand & Associates. In the end, virtually all homes eventually sell—it’s just about pricing. When a home has fallen in value and is priced so low that there isn’t enough equity to cover the mortgage, you might have the option to conduct a short sale. It’s also known as going “underwater.” This means the lender agrees to accept less than the amount the borrower owes through a sale of the property to a third party. 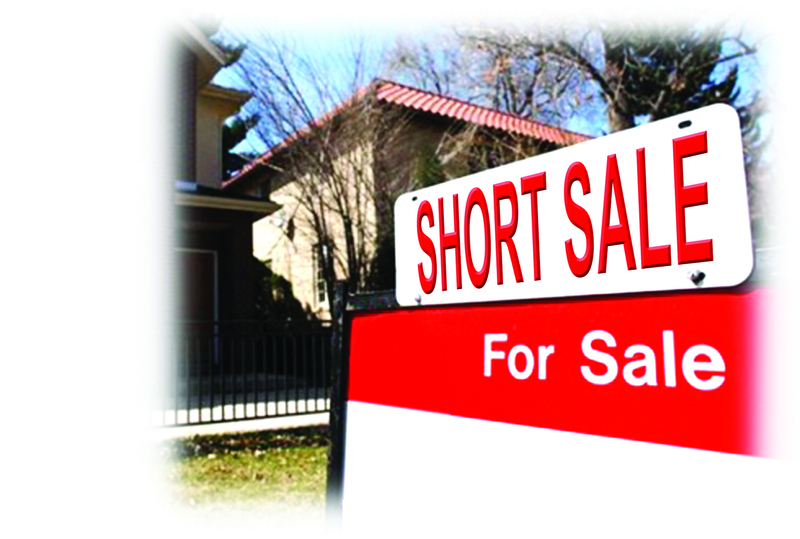 A short sale works like this: A specialist brokers a deal with the mortgage lender to sell the home for whatever the market will bear. If the amount of the sale is for less than what’s owed on the mortgage, the lender gets the money from the sale and relinquishes the remaining debt. (This means you won’t owe anything else.) In a short sale, the lender usually pays for the seller’s closing costs. A traditional sale takes about 30 to 45 days to close after the offer is accepted, whereas a short sale can take 90 to 120 days, sometimes even longer. Sellers will need to prove hardship—like a loss of primary income or death of a spouse—to their lender. In addition to explaining why they’re unable to make mortgage payments, sellers will have to provide supporting financial documents to the lender to consider for a short sale.
. The lender then releases the borrower from any further liability relating to the mortgage. However, if the property is worth significantly less than the outstanding mortgage, the lender may require the borrower to pay a portion of the remaining loan balance. You might be eligible for a deed in lieu if you’re experiencing financial hardship, can’t afford your current mortgage payment, and were unable to sell your property at fair market value for at least 90 days. Bottom line: This agreement is a negotiated solution to a bad situation—borrowers who have fallen behind on their payments are going to lose their house and the lender is not getting paid back in full. So your home is for sale, and you’ve signed a contract with a real estate agent, but you were actually able to nab a buyer through your own efforts. Maybe it was through word of mouth or your aggressive push on Facebook (you should really apologize to your friends for posting so many pictures of your house! ), but someone is writing you an offer and really wants to buy your house. Having found a buyer on your own, are you still legally obligated to pay real estate fees or commission? Here’s how to know if you’re on the hook. In most states, a seller and an agent draw up something called a listing agreement. The listing agreement details the rights and responsibilities of the seller and the broker, and usually outlines the circumstances when a broker is due a commission. Things get tricky if the listing agreement confers an exclusive right to sell. This means the real estate agent has the sole right to sell the property. All offers must go through him or her, and for any sale, you’re obligated to pay the agent the commission spelled out in the contract, according to Marc D. Markel, a board-certified Texas attorney in residential and commercial real estate law. Agents rely on these exclusive listing agreements to avoid putting in what can be months of free work without seeing a payoff. For this reason, the agreement outlines the many ways an agent earns a commission, including what happens if the seller breaches the exclusive agreement. If the sellers feel as if they are doing all the work, they might also be able to modify the existing agreement and add a termination if the broker doesn’t meet certain obligations, like selling the home within a certain time frame, says Sandy Straley, a real estate agent in Layton, UT. Other obligations for the listing could include organizing open houses, creating and distributing printed materials, and even the posting of videos shot by drones, says Markel.